Well stocked media library and Flat screen TV. 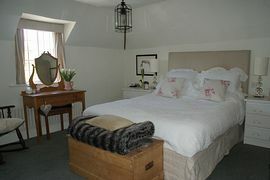 Upstairs two good sized bedrooms, one double and a twin, beautiful Egyptian cotton sheets and fluffy towels. The bathroom has an overhead power shower. 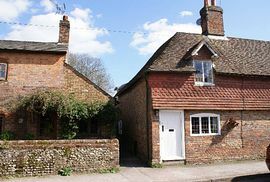 Situated opposite Jane Austens former home, the village of Chawton offers a relaxing location for exploring Hampshire. With a good village pub and country walking from the doorstep Farthings offers the perfect escape. 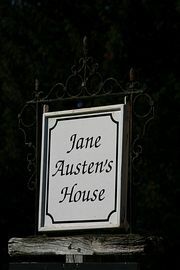 Proximity to Jane Austens former home. 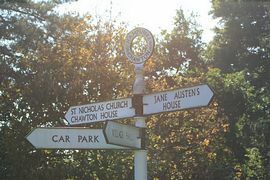 By road: M25 junction 12, M3 to junction 5, B3349 to Odiham and Alton, follow signs for Chawton. Alternatively from the A31, turn left at A31/32 junction roundabout to Chawton. Farthings can be found diagonally opposite Jane Austen's house on the right. By rail: London Waterloo to Alton. Taxi rank outside station/ 5min journey. See Map. Weekly rates from: £400 to £600 in high season. 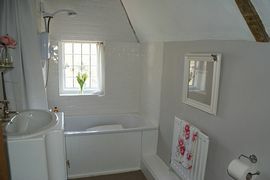 The cottage is available all year round, we accept short stays, mid and long term bookings.